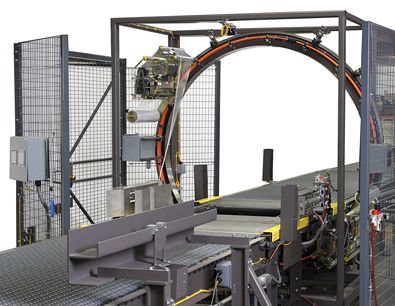 Orion's Constellation Series of orbital wrapping systems are well suited for wrapping long products that cannot be wrapped on conventional turntable or rotary tower machines. The series provides systems with ring sizes from 15 inch to 90 inch to accommodate all applications. These systems have a standard maximum weight capacity up to 1,000 lbs.